It is the last day for submitting tax returns. It is late in the day. Knowing that some post offices are open late on tax day, I go to the USPS web site to find out which ones are open late. The site has a web page with information about mailing tax returns. A Post Office Locator box at the bottom right of the page tells me I can find out which post offices are open late. I click the Go> button. 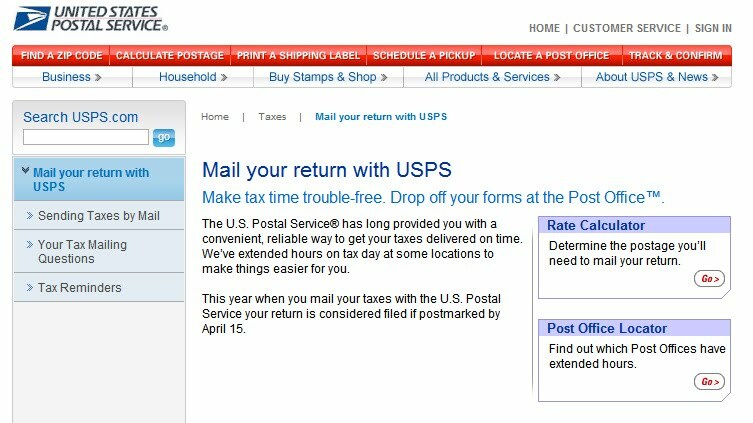 I enter a ZIP code and click the Search > button to find post offices open late on tax day. The site displays a map and list of Post Offices. 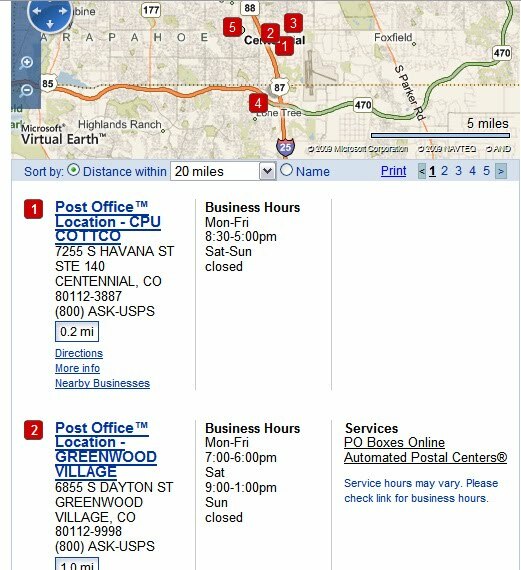 Business hours are shown on the page but there is no indication of which post offices are open late on tax day. Having gotten here by clicking a button labeled to be a search for post offices that are open late on tax day, I assume that all the post offices in the search results are open late.